Same compact and slim design as the metal Smart Money Clip®, but soft and pliable like an old fashioned leather wallet. The Smart Money Clip Leather fits comfortably in your front pocket or purse. Made with beautiful Italian leather and brushed stainless steel. Get it engraved with a name or initials. 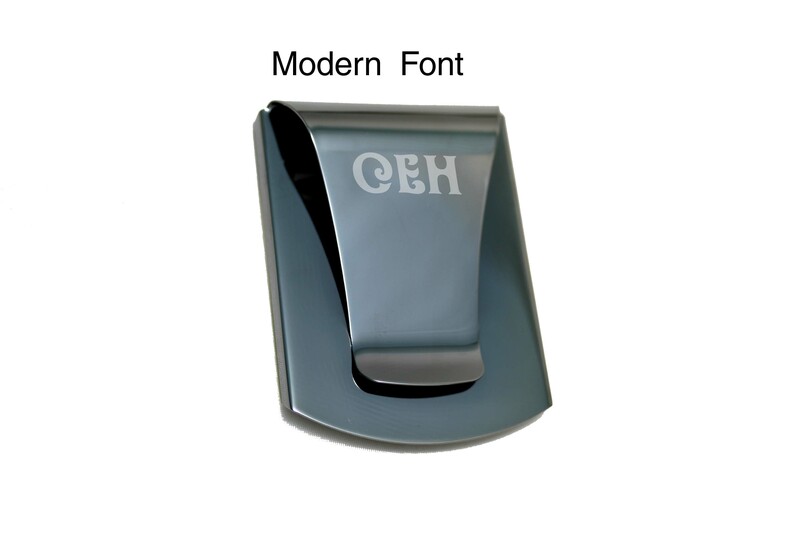 There are 3 fonts to choose from: Traditional, Modern, or Script.